While I was feeling under the weather in Belfast, I had a chance to watch some public service broadcasting here in the UK. I turned it on to have something playing in the room while I packed, but I found myself genuinely interested in what they were discussing. I abandoned my packing and spent three hours watching Welsh government proceedings. The first segment I watched had the Welsh Assembly discussing a proposed health bill. The discussion they were having was about mental health and how general practitioners could offer options other than medication to people struggling with their mental health. Some things struck me as being different to the public access television I watch back home. First, I was genuinely interested in what was being debates. The members had interesting and important questions about the proposal, for example, who would the services help the most and how would it be paid for and put into practice. They talked quite a bit about young people struggling with mental health and older and unemployed people being lonely. They discussed using more community and social interactions for people struggling with mental health in place of or in addition to medication. There were many different perspectives in this debate. Some came from a government standpoint, some from a doctor’s, one brought up the church, and some had the perspective of community members. The discussion did not seem to be divided among party lines but rather each member had their own views and concerns that they wanted to voice. It was much more civil than current American politics, and the meeting seemed to get more done in an hour and a half than I have ever seen accomplished at a government meeting back home. I was surprised to see mental health being discussed on television by the Welsh government. Every topic in American politics is strictly divided among party lines, and neither side is ever willing to compromise. A topic like mental health is not a big concern for most American politicians, and I would not expect it to be discussed like I how saw it discussed in the UK. Since the National Health Service (NHS) exists here in the UK, government officials are more involved in healthcare policy and the wellbeing of British citizens. It may be cynical to say, but it seemed as if most of the Welsh politicians were more concerned with what was best for their community than what is best for their political careers, something that is getting harder and harder to find on television in the US. Most often I see American politics on cable news arguing about the issue of the moment. ­­­­­­­­­­­­­­Politicians in the UK do this as well, but on public access the focus is less on politicians or parties and more on specific issues and the government as whole. The second segment was Theresa May’s speech about the bombing at the concert in Manchester. Theresa May is the prime minister of the United Kingdom. 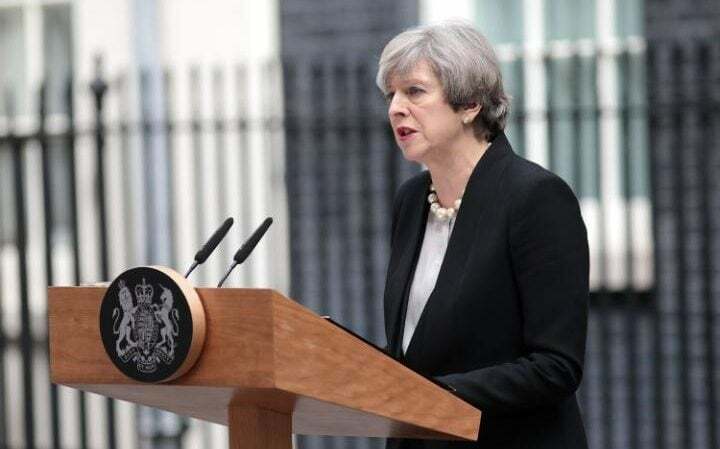 In her speech, she talked about the tragedy, put the UK on the highest-level threat warning, praised first responders and the people of Manchester who offered help, and offered condolences to the victims and their families. It was interesting to watch her entire speech, and then the next day see the bits that were picked out and reported on. There were three or four quotes in the summaries of her speech and the attack reported online and in print the next day. It was interesting to see her speech be on public service broadcasting and not a cable news network. In the US, presidential speeches and statements air on cable news networks or non-public access television. Many people don’t watch entire speeches, but rather find clips the next day. I think this is the same in the US and UK. The third segment I watched was the Welsh Assembly discussing the Manchester bombing. They talked about how Welsh citizens were affected watch could be done to protect the people of Wales in the future. They mentioned that often people from Wales would go to big cities in England for events like this, and what they could do to protect their citizens. They also brought up offering support services to people affected by the tragedy. This is what I would like to see our government doing more of, rather than arguing with each other and getting nothing done. The last segment I watched was a debate about schooling. There are schools in the UK that 11-year-olds take tests to get into. Some argue this is unfair because a disproportioned number of wealth children are in these schools. This was the part the reminded most of American television. Journalist were offering testimony on whether these schools were good or bad. The debate was less civil and remined me of what is on Sunday morning news talk shows here in the US. Public service broadcasting is better funded in the UK. A fee is paid by the citizens of the UK to fund public access TV, and there are no commercials on television channels that are funded by the government. I see this as a much better approach to public service broadcasting. In the US, it relies on outside funding. Some of the cost are paid by the government, but the government does not pay for much and the amount is getting smaller and smaller under the new administration. In the UK, the government pays for public service broadcasting, meaning it is better quality television and there are not commercials once an hour asking for your support in funding public service broadcasting. These reasons are part of why I enjoyed watching it here and why I don’t like to watch it at home. In the US, I find much of public access television boring. Often things are aired multiple times because there is not enough funding to produce new content. Much of the government proceedings back home are slow and unengaging because each side is repeating their main points instead of having a productive discussion and working tougher to solve issues. I feel that many people back home are unaware that they can watch government proceedings on public service broadcasting, or they are simply uninterested in doing so. I don’t know how people in the UK feel about watching public service broadcasting, but I enjoyed what I saw. In the couple of hours of watching Welsh government proceedings, I feel that I learned some things about government in the UK. I would hope that back home changes can be made to make public access television better, but I am not hopeful with the current political administration.